not a problem ray, you can come up anytime to take the stuff you need and also look at my suspension if it helps. ill send you a email with my phone number. dave. 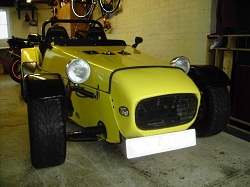 hi ray im only in barnby dun so not far away, i never built my 2b but have built a tj hornet years ago. i have my own small engineering firm in askern so if theres owt i can help with just ask, also big into bikes, ive got a speed triple at minute which is a keeper, but on lookout for a twinshock 70s trials bike. best of luck, dave. hi ray. dont know if this helps but ive got the build manual and all videos for the 2b sliding pillar, im in doncastter too so you could borrow them no problem, cheers, dave.